Martine welcomes you to 'Douceur en Campagne', a cosy house in quiet countryside setting, ideal for relaxing holiday with family or friends. Ground floor: fitted kitchen area (dishwasher, washing machine, microwave, oven, small electrical appliances) with large living room opening onto terrace and garden (outdoor furniture, deckchairs, BBQ, boules pitch). 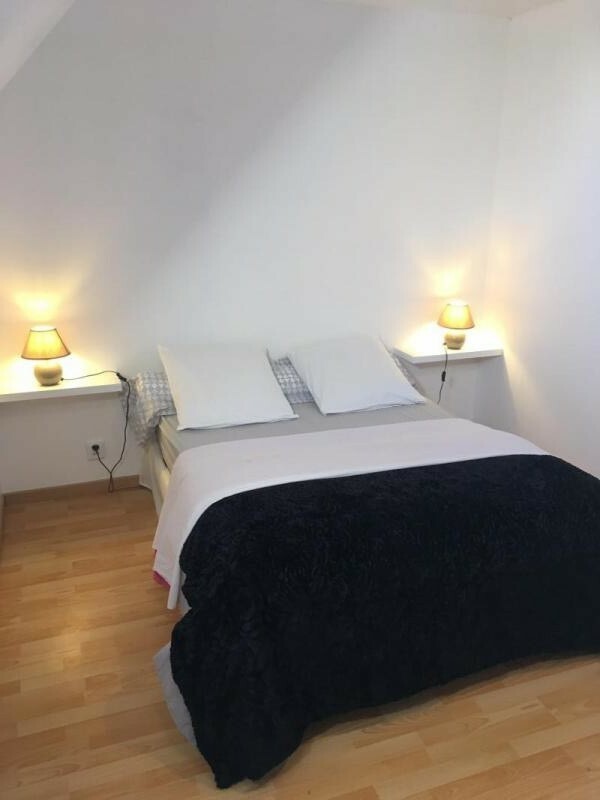 1st floor: bedroom (double bed, 2 single bunks, TV) with en-suite shower room/WC (hair dryer), bedroom (double bed) with en-suite shower room (hair dryer), separate WC.|Private parking (remote controlled gate). For hire: 2 bikes, 1 quad bike. Beds made on arrival. Cost of cleaning included in rent. Towels supplied free. Also supplied: cleaning products, basic groceries, things needed for 1st day. Pets allowed under certain conditions. Baby equipment on request. WIFI Internet access.